Based on a popular course for the FEMA Higher Education project, Preparedness and Response for Catastrophic Disasters provides important insight into plans to mitigate and respond to the devastation caused by large-scale catastrophic events. Hurricane Katrina provided clear evidence that these occurrences are both qualitatively and quantitatively different from other disasters. Recent tragedies, like the 2004 South Asia tsunami, the 2010 earthquake in Haiti, and the 2011 earthquake, tsunami, and resulting nuclear plant meltdown in Japan further illustrate that we are not prepared for such events. 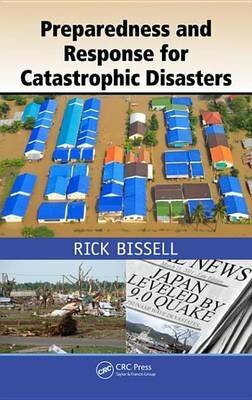 Written by top disaster scholars and practitioners, the book defines what constitutes a catastrophic event, outlining both the factors that can lead to catastrophes and the unique logistical, planning, and response challenges posed by them. Distinct from general disasters, these events are termed catastrophic due to the regional impact, impacts to logistics and infrastructure, the devastating effects on large-scale populations, and the ripple effects on regional and global economies.Preparedness and Response for Catastrophic Disasters examines why catastrophes must be approached differently. If governments, public administrators, and emergency management professionals are to succeed in protecting our populations, there must be consensus, decisiveness, and leadership in both the coordination and response. In addition, there must be a fundamental recognition that catastrophic events compromise the very infrastructure-public utilities, delivery of goods and service, schools, business functions, and government-that supports communities and upon which modern society is based. As such, the book explores how catastrophes can dramatically affect populations and addresses new, innovative, and fundamentally unique strategies communities can institute to better prepare populations for catastrophic events and their aftermath.